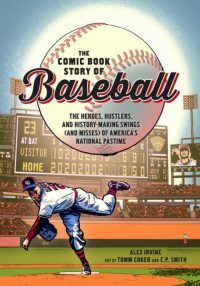 NEW YORK (CNS) — Baseball and comic books, two colorful American originals, come together in “The Comic Book Story of Baseball: The Heroes, Hustlers, and History-Making Swings (and Misses) of America’s National Pastime” (Ten Speed Press) by author Alex Irvine and illustrators Tomm Coker and C.P. Smith. The graphic book contains two partially censored vulgar expressions. The Catholic News Service classification is A-II — adults and adolescents. Not otherwise rated.